Wall Street analysts are rife with predictions for Tesla’s Model Y, set to be unveiled tonight. Gene Munster of Loup Ventures estimates the new car could double Tesla’s total addressable market. The company shared a teaser of the car on Twitter Thursday. Tesla’s Model Y is set to be unveiled on Thursday night. 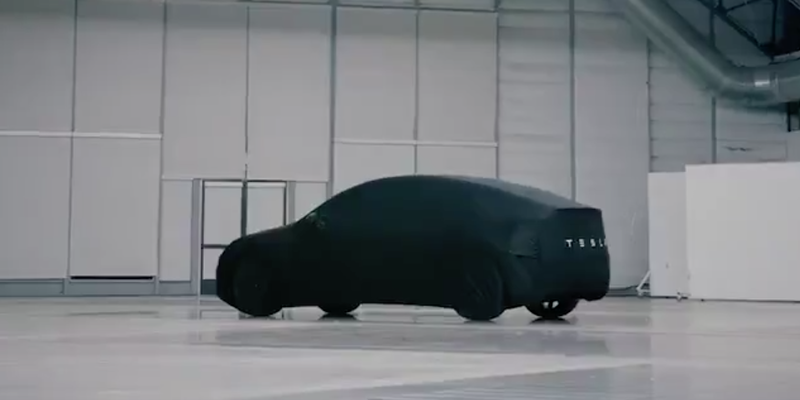 The company released a teaser video in the hours leading up to the event, which kicks off at 8 PM Pacific at Tesla’s design studio in Hawthorne. Meanwhile, Wall Street predictions for the car and the implications for Tesla’s business have been pouring in as the car’s launch approaches. Longtime Tesla bull Gene Munster couldn’t be more excited. In a note to clients Thursday, Munster estimated the Model Y could double Tesla’s total addressable market. “The Model Y is important because entering the SUV/cross over market effectively doubles Tesla’s addressable market, but we caution it will likely take two years before the $39k model will be available,” he said. Muenster notes that we likely won’t see pre-order data from the Model Y as we did with the Model 3 in 2016, because those numbers will likely pale in comparison to the sedan. What’s more, anyone who puts down a deposit likely won’t even see the car until at least 2021. Model Y shares 75% of the same parts as Model 3. Tesla is about to unveil the Model Y. Here’s everything we know about the vehicle so far.